In remembrance of Superstorm Sandy’s third anniversary, Global Green USA announced an innovative partnership with National Grid to create climate resilient disaster preparedness hubs in communities affected by Superstorm Sandy by installing advanced energy technologies. Up to five community sites will be upgraded, including the Church of God Christian Academy in Far Rockaway, Queens and the Martin Luther King Center in Long Beach, Long Island. The resiliency hubs will be centrally located in the community, and designed to provide emergency light, heat and power indefinitely during a crisis. The upgrades include grid-tied solar power and off-grid electric battery storage, as well as gas and electric efficiency improvements. The upgrades also have the benefit of helping to reduce monthly utility bills—a savings that can be devoted to community programs. These project serve as the next phase in Global Green’s Solar for Sandy effort that launched in 2013 to help increase resiliency against future storms through the installation of solar systems on community hubs. Global Green completed a pilot Solar for Sandy project in August, 2013 installing a 5KW solar system on the Rockaway Beach Surf Club, a community hub for local residents, artists and surfers. The community center became the neighborhood’s primary relief hub after the storm for more than 5,000 volunteers who came to help. The inverter offers a resilience solution at a small scale and cost that can offer small community centers with up to 1.5 kw of pow-er capacity when the sun is shining – allowing for critical cell phone charging that enables communication to coordinate disaster relief efforts. 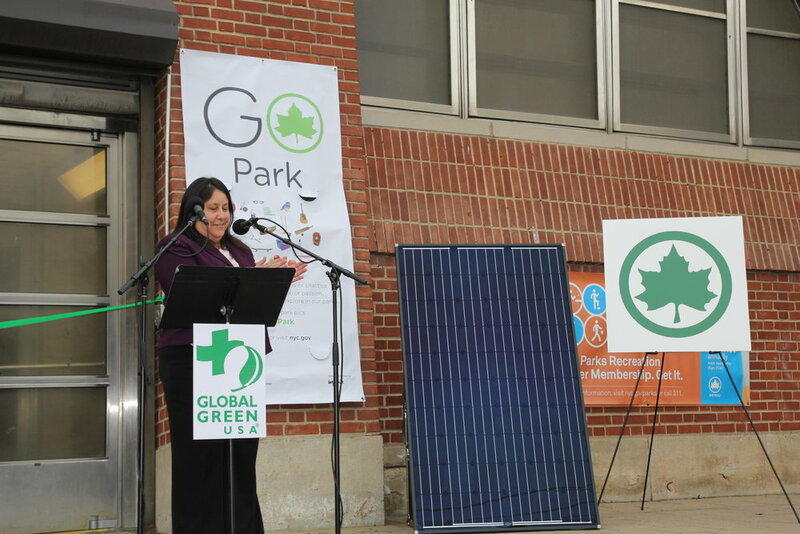 Global Green developed the first ever solar with back up battery system in New York City in partnership with IKEA. This project uses batteries to provide power for cell phone charging, refrigeration, and lighting when the power grid is down. Solar grid tied with battery back up systems in neighborhoods vulnerable to storm surge is a key rebuilding strategy to ensure the safety of residents and timely response during an emergency. 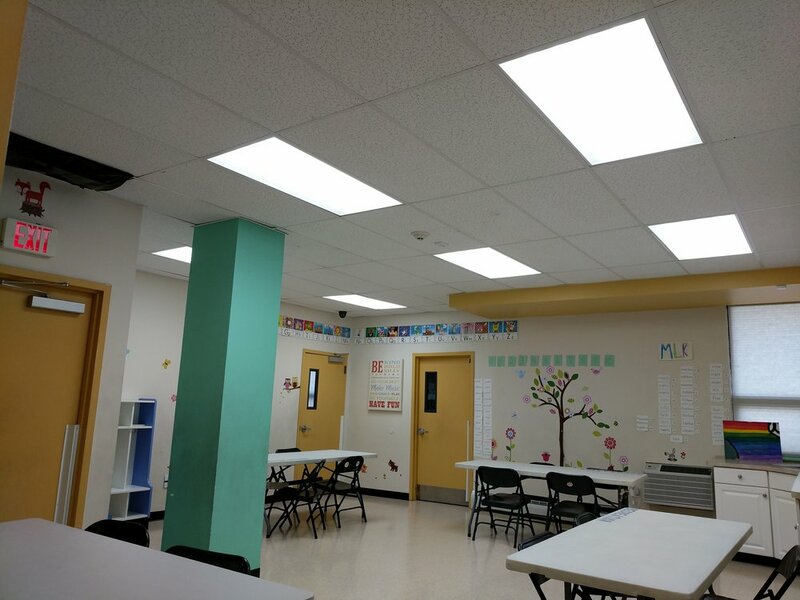 Global Green built a 15kW solar system at the Academy, while also installing energy efficiency measures including LED retrofit, spray foam insulation, and programmable thermostats. The School will increase public safety following an emergency, and benefit from lower utility bills. The Martin Luther King Center is owned by the City of Long Beach and operated by the Martin Luther King Center non-profit. The center includes a gymnasium, classrooms, and office space; it served as a point of distribution after Superstorm Sandy. 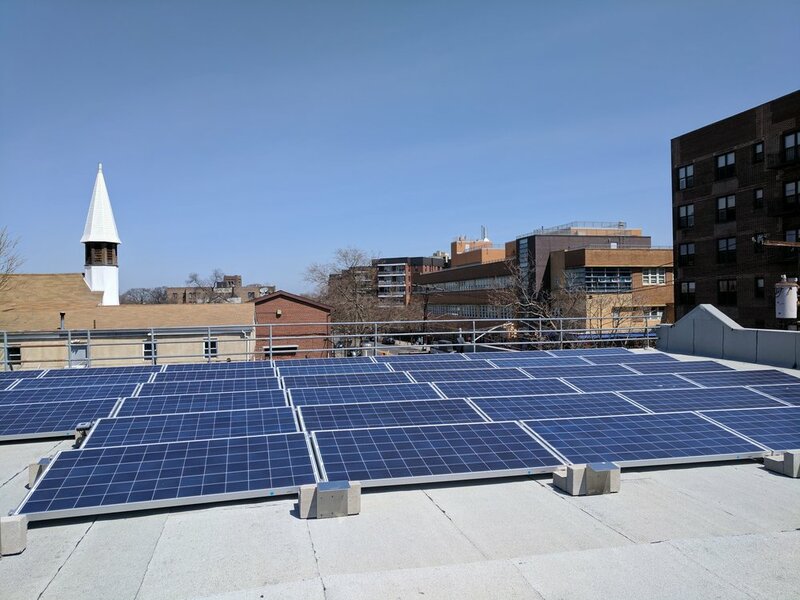 Mechanical equipment and panels are raised above flood lines, Global Green has improved the Center’s emergency infrastructure by completing a solar + battery installation.